"Slap bang in the centre of stunning Bath within walking distance of its historic sites." 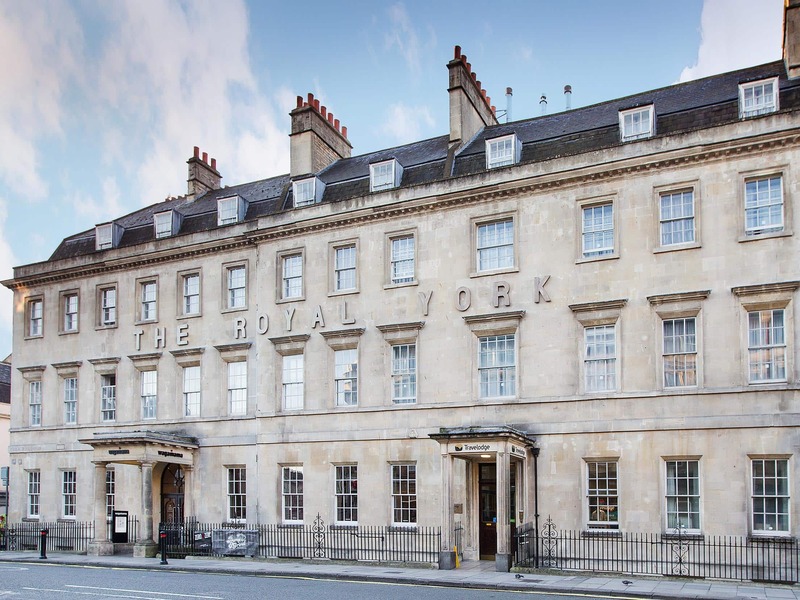 Situated in the heart of Bath, our Bath City Centre hotel is literally only minutes away from the historic Roman Baths, Bath Abbey, Southgate Mall and the Theatre Royal to name but a few. From our hotel, you’re perfectly placed for a stroll through Bath’s picturesque Georgian streets. And there’s a whole host of theatres, cinemas and shops plus plenty of tea rooms and restaurants right on your doorstep. Why not end a day of sightseeing in the natural thermal waters of the rooftop Thermae Bath Spa only a 1 minute walk away? 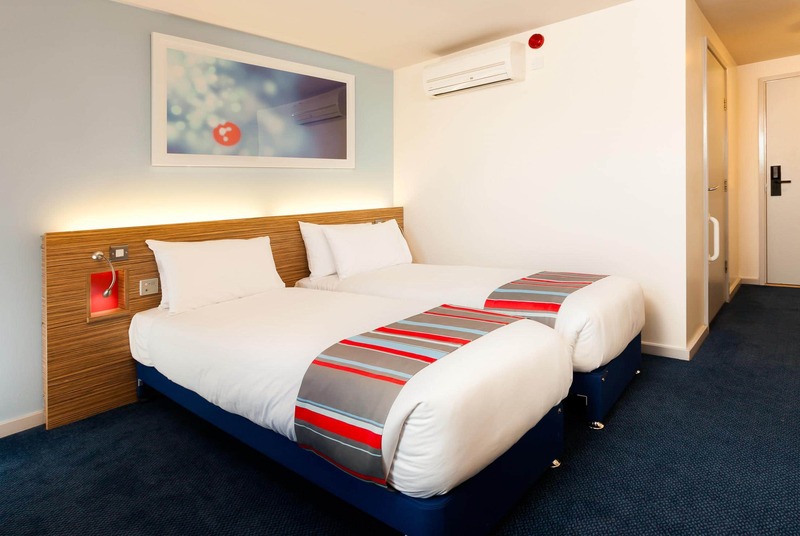 This hotel features rooms with a comfy king size bed with four plump pillows and a cosy duvet. 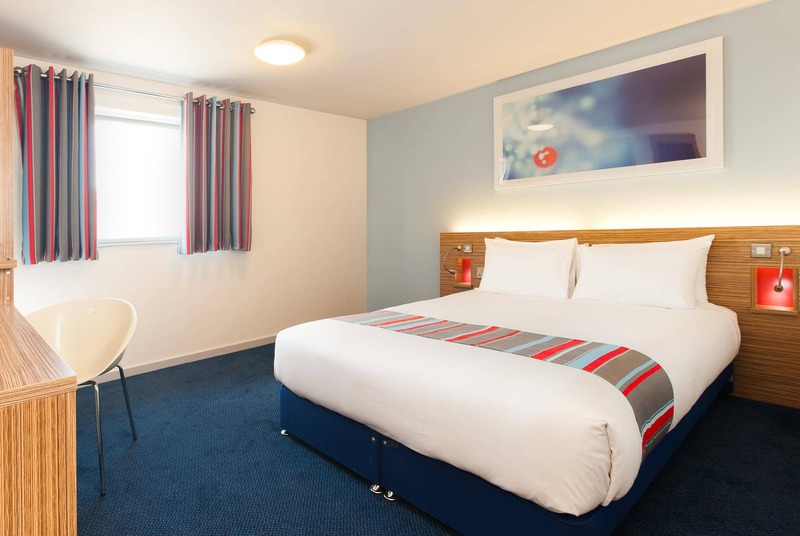 Guests can enjoy a wide variety of food and drink choices within easy walking distance from this hotel. Please be aware that for efficiency reasons, the bedroom windows do not open. Rooms are fitted with air conditioning. 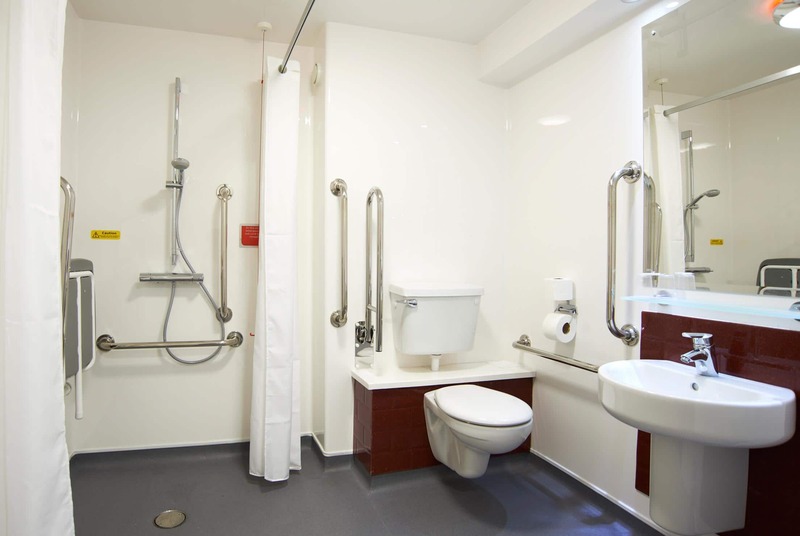 Please note that our accessible rooms have wet room facilities, our standard rooms have showers only, and our family rooms have showers over baths. To access the hotel, from Bath Spa station, turn left out of the station on to Dorchester Street. After a few minutes turn right into St James Parade. Keep walking and take the first right after Hot Bath Street, into Westgate Buildings. You will pass the Thermae Bath Spa on your right. 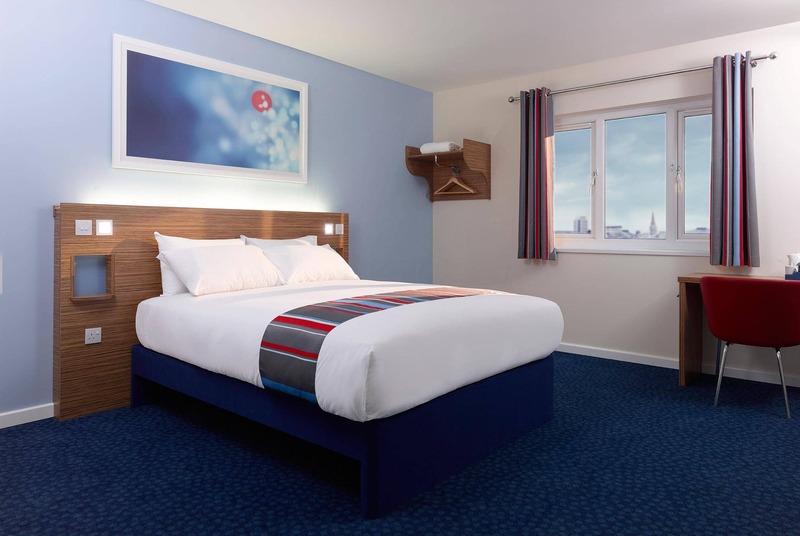 The Travelodge is on your left, a little further on. From the M4, follow signs to junction 18 (Bath) and take the slip road onto A46. Continue to follow A46 for 4 miles until reaching the roundabout and take the 2nd exit to A46. Continue to follow A46 for 2 miles until reaching signs for A4 (Bath) and remain in the far left lane. At the roundabout, take the 3rd exit onto A4 London Road and continue to follow for 2 miles until reaching the city centre and continue to follow signage for A4. When you have reached a traffic light junction with the Salvation Army centre ahead, bear left onto St James Street and follow for 0.3m. Turn left onto Westgate Buildings, opposite Bath College and the hotel entrance is on the left. Parking is available nearby at Avon Street car park, Avon Street, Somerset, Bath, BA1 1UF. Parking charges apply Monday-Sunday 08:00-20:00, free outside these hours. To access the car park follow hotel directions, at traffic light junction with the Salvation Army centre ahead continue across and on to A367. As the road bares left, the car park is on your left. From the car park on foot, turn left onto Avon Street,walk to St James Street. Turn right towards Bath College, cross the road and Westgate Buildings is opposite, the hotel entrance is on the left. For guests who prefer onsite parking, please consider our Bath Riverside hotel.